(you’ll find the FAQs about buying and shipping in ‘good to know’ below). We accept major credit cards through Paypal (You don’t need a Paypal account). 1. HD USB webcam with swivel mount and extn. cable. 3. Three stackable arms – head mount + Nuts! 4. Paper thin steel plates to work with magnetic base. 5. Suction pad. Alternative to magnetic base. 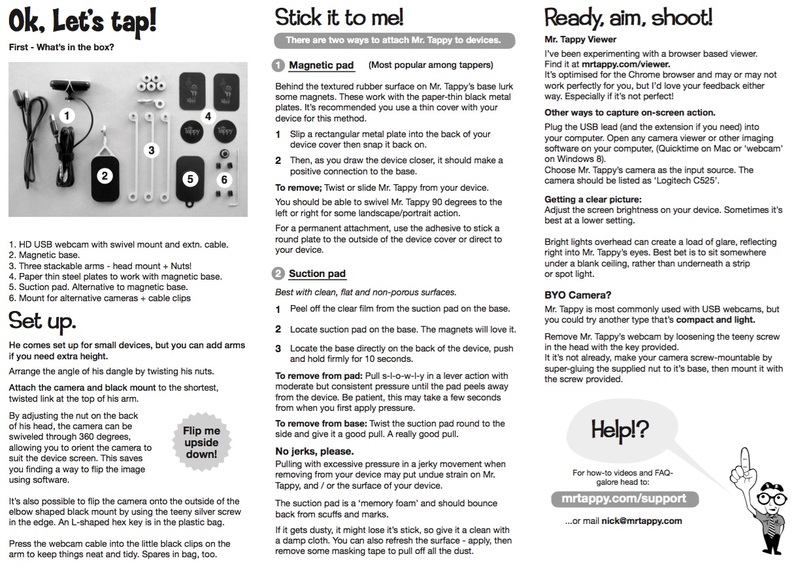 Mr. Tappy’s very own in-browser viewer. Get it FREE here. No install required, just plug in the camera. 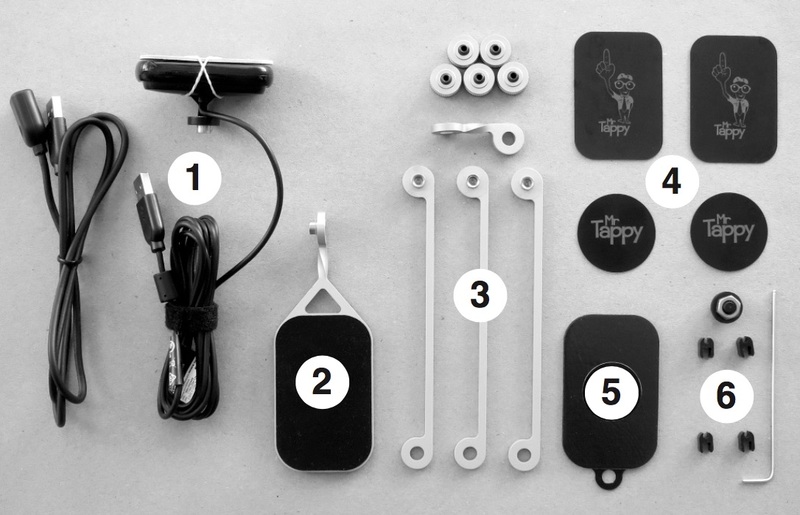 Head to www.mrtappy.com/viewer and you’ll be all over the interaction. How long? We use a 4-6 working day, tracked courier service. Expedited shipping (a 3-4 working day service) can be arranged for an additional fee of $29 USD. See ‘Shipping’ in our friendly terms and conditions. Want to buy more than one? You’re not alone, and yes, we offer volume discounts – even if it’s just a pair of Tappies you need (Just ask). It’s for students… Discount please? 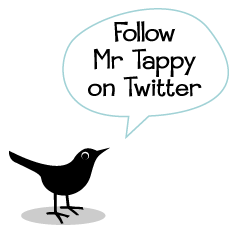 I love the idea of Mr. Tappy being in a learning environment. Just ask and I’ll see what I can do. Is shipping included? Yes. To anywhere in the world, it’s all part of the price. My company needs a receipt, invoice, quote etc. No problem… just let me know the specifics of the paperwork you need and I’ll sort it.